On Tuesday, Apr. 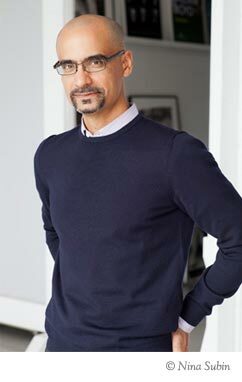 16, at 7 p.m. in Connelly Center Cinema, critically acclaimed author Junot Díaz will conclude Villanova University’s 15th Annual Villanova Literary Festival with a free reading, book signing and reception. Born in the Dominican Republic and raised in New Jersey, Díaz made his literary debut with his short story collection Drown (1996), which addresses the brutal and somehow beautiful realities of urban life. By offering a sharp, unflinching glare at life in the margins of modern America, Drown became a best-seller and introduced Díaz as a new, fresh voice to be reckoned with in the world of fiction. After its success, Díaz took an eleven year hiatus, during which he produced his only novel, The Brief and Wondrous Life of Oscar Wao (2007), which won the 2008 Pulitzer Prize and the National Book Critics Circle Award. In this multi-generational story, Díaz merges the history of his own birthplace with modern American culture. In doing so, he crosses traditional boundaries of gender, nationality, class and language in order to create an overarching narrative of the struggle and survival so central to the narrative of being human. His most recent collection of short stories, This Is How You Lose Her (2012), is on The New York Times Best Seller list and was a National Book Award finalist. It carries the same spirit of his previous works as the character Yunior, who narrates The Brief and Wondrous Life of Oscar Wao and is the predominating voice in Drown, once again becomes the focus in many of these stories about identity, family, romance, literary struggle and multicultural conflict. As with his previous works, Díaz confronts his audience with Spanish words and phrases, which have the effect of either alienating readers or inviting them into the diversity that influences American language and culture today. Díaz is the recipient of many honors such as a MacArthur “Genius” Fellowship, a Dayton Literary Peace Prize, a Guggenheim Fellowship, a PEN/Malamud Award and The O. Henry Award, among others. Currently, he is the fiction editor at Boston Review, creative writing professor at the Massachusetts Institute of Technology (MIT), and honorary chairman of the Dream Project. His current work in progress, tentatively entitled Monstro, will hopefully fulfill his dream of becoming an established voice in the science-fiction genre. Alexander Williams, ’11 MA, is an intern on the Academic Integration and the Information and Research Assistance teams. He is currently pursuing an MS in Library and Information Science at Drexel University’s iSchool. Thank you for an insightful blog!